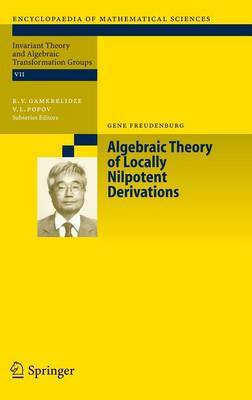 This book explores the theory and application of locally nilpotent derivations. It provides a unified treatment of the subject, beginning with sixteen First Principles on which the entire theory is based. These are used to establish classical results, such as Rentschler's Theorem for the plane, right up to the most recent results, such as Makar-Limanov's Theorem for locally nilpotent derivations of polynomial rings. The book also includes a wealth of pexamples and open problems.